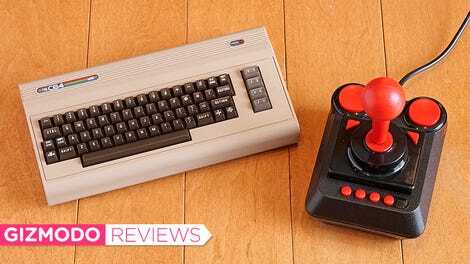 It’s no longer just hardware companies like Nintendo and Sony who are recycling old content with plug-and-play mini consoles packed with retro games. Capcom’s now joining the fun too with its new Capcom Home Arcade that includes 16 classic titles from the developer’s catalog including Street Fighter II and Mega Man: The Power Battle, but we have some concerns about that design, as well as that price tag. Fighting game enthusiasts often prefer to play with the same joystick and arcade button combination that are traditionally found on full-size arcade cabinets, so that’s what Capcom has done with its Home Arcade. 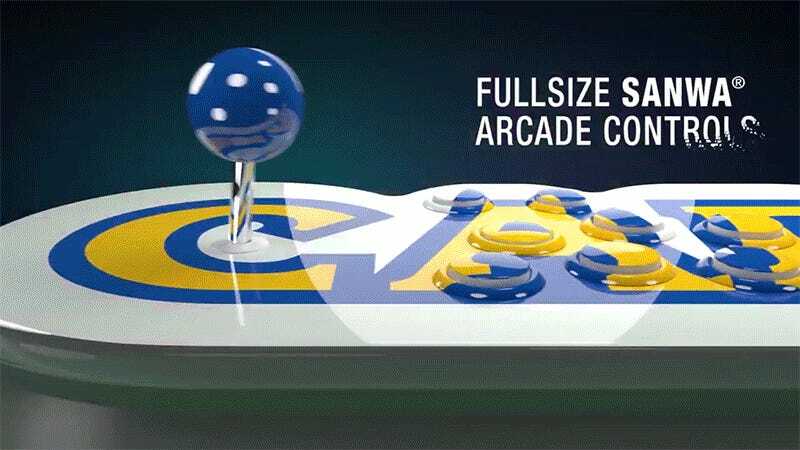 Instead of a pint-sized console with wired controllers like the NES Classic Edition, the console itself is a 3D recreation of the Capcom logo with two sets of “competition class” Sanwa joysticks and arcade buttons built right in. It’s reminiscent of an actual arcade cabinet, and that design works great when two players are standing next to each other. But since the Capcom Home Arcade connects to a TV with an HDMI cable, it will instead be used on the couch or floor, requiring players to sidle up uncomfortably close to each other. The Capcom logo is cute, but not exactly ideal for hardware like this. Still, it’s hard to deny that this would be a really easy way to kickstart your own home arcade cabinet if you’re lazy. Available starting October 25, the Home Arcade appears to come bundled with a solid mix of both action and fighting games, including 1944: The Loop Master, Alien vs. Predator, Armored Warriors, Capcom Sports Club, Captain Commando, Cyberbots, Darkstalkers, Eco Fighters, Final Fight, Ghouls ‘n Ghosts, Gigawing, Mega Man: The Power Battle, Progear, Street Fighter II: Hyper Fighting, Strider, and Super Puzzle Fighter II Turbo. And there’s a USB port for anyone who wants to get hack-happy. It also comes with wifi, which Capcom says will be used to download global leaderboard standings, but not for adding new content. That’s unfortunate, because as solid as the Home Arcade’s hardware looks, it’s going to include a price tag well north of $250. (The UK pricing has been set at €229.99) That’s more expensive than some versions of the Xbox One, and nearly the price of the Nintendo Switch.